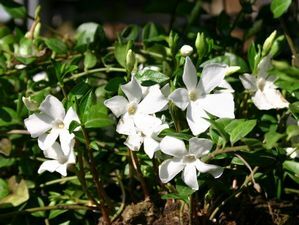 Trailing stems produce multitudes of large white flowers that will brighten a shady corner in spring. The dark evergreen foliage reaches a height of 4-6”. 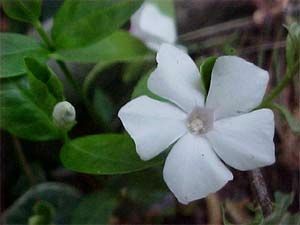 Evergreen and trailing Vinca will suppress weeds, grow against trees and shrubs, and compliment spring bulbs. Morning sun will produce heavier flowering however some shade is required south of zone 7. 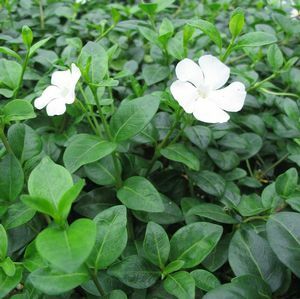 Performs best in fertile, loamy soil.